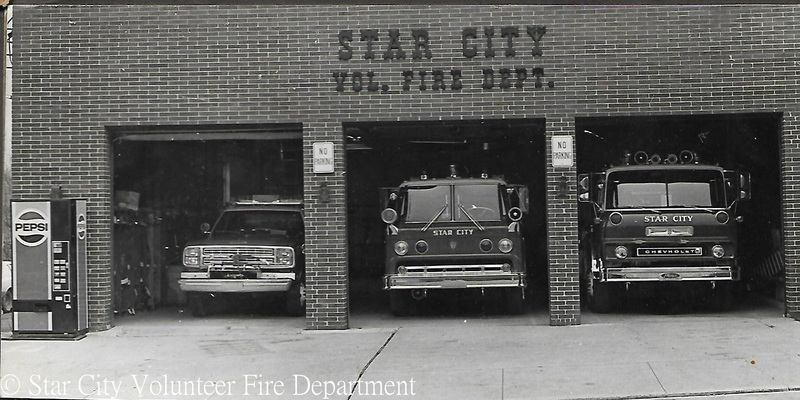 The Star City Volunteer Fire Department is actively attempting to gather information into the history of our department and organization. Unfortunately over the years many of the records, pictures, and stories of our department have been lost to the passage of time, so WE NEED YOUR HELP! If you or someone you know may have any stories, documents, pictures, or information into our past no matter how recent or not we would greatly appreciate your input and the chance to scan any pictures/documents. Thank you once again for supporting your citizen volunteers of the Star City Volunteer Fire Department.